We proudly install replacement windows from Pella, a notable name in the industry. Pella windows are available in wood, fiberglass, and vinyl materials, as well as in varying styles including single hung, double hung, casement, and more. Plus, every Pella window comes with two panes of insulated glass to help make your home more energy efficient. 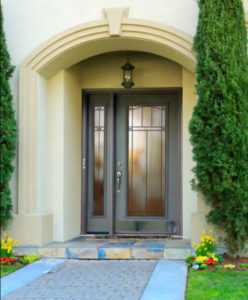 Classic wood, high-performance fiberglass, and ultra-durable steel entry doors from Pella are some of the finest in the industry and can provide many benefits for your home, including boosting security and curb appeal. We also install Pella patio doors, which are energy efficient and available in traditional and contemporary styles, and storm doors for added home protection. Dreamstyle Remodeling of Idaho has successfully completed more than 60,000 home renovations since our founding in 1989, earning the praise of countless homeowners. Our installers are certified company employees, not subcontractors, and we offer some of the best warranties in the industry. Furthermore, we have diverse financing options available to make your home renovation more affordable. To learn more, contact Dreamstyle Remodeling today.